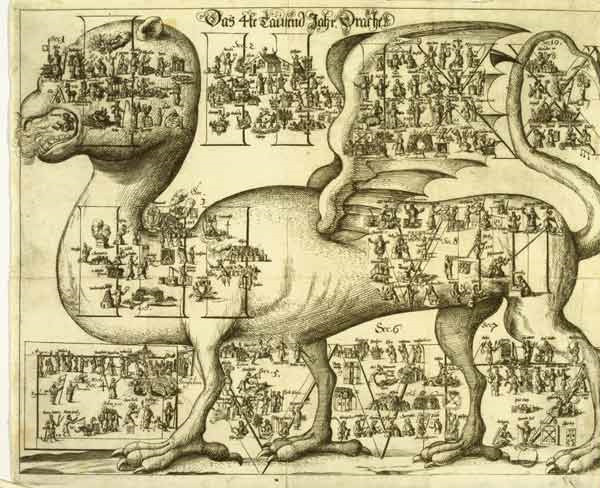 I'm obsessed with maps--a fundamental sensemaking mechanism for the world, arguably the earliest form of standardized information design, and a relentless source of visual creativity. Today, we turn to seven fantastic books that explore the art and science of cartography from seven fascinating angles. Map As Art, The: Contemporary Artists Explore Cartography is the definitive overview of today's bravest, boldest creative cartography, featuring 360 colorful creations by well-known artists and emerging visual experimenteurs alike, including Brain Pickings favorites Maira Kalman, Paula Scher, and Olaful Eliasson. Insightful essays by Gayle Clemans complement the maps and overlay a richer sheath of insight onto the work and creative process of these cartographic artists. 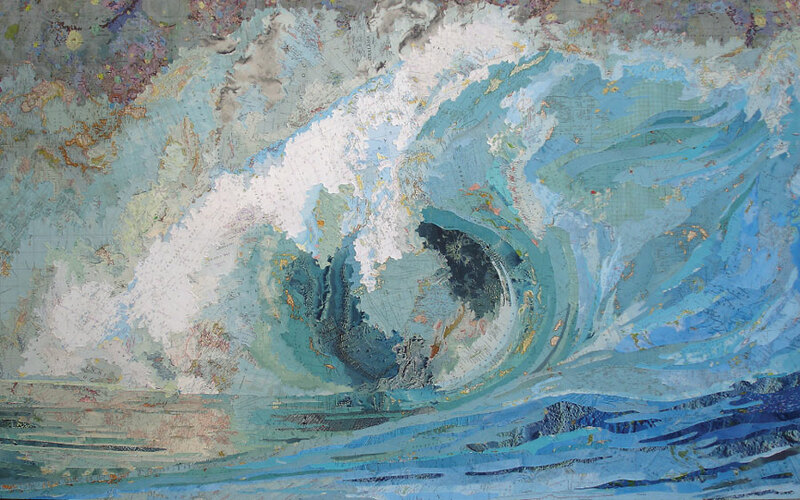 Matthew Cusick, 'Fiona's Wave,' 2005. Cusick's oversized collages are painted with fragments of vintage atlases and school geography books from the golden era of cartography, 1872-1945. Qin Ga, 'Site 22: Mao Zedong Temple,' 2005. 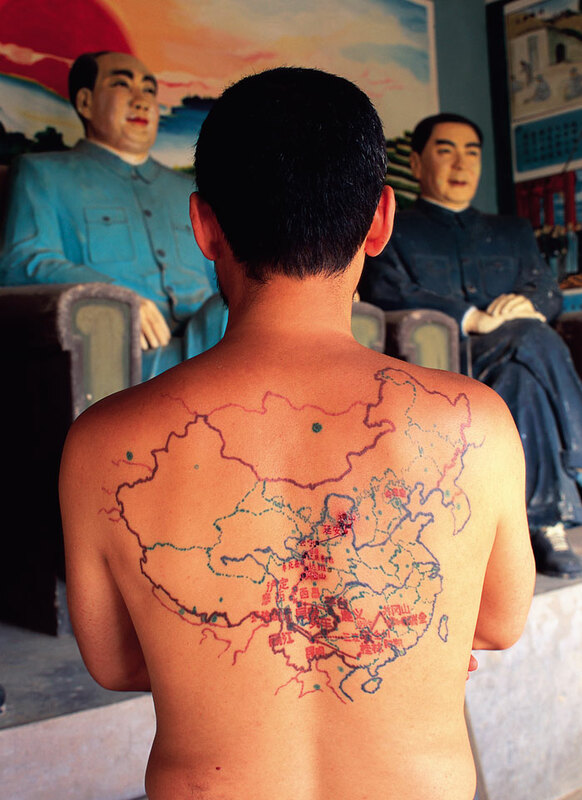 In 2002, China's Long March Project embarked upon a 'Walking Visual Display' along the route of the 1934-1936 historic 6,000-mile Long March, and Beijing-based artist Qin kept tracked the group's route in a tattooed map on his back. Three years later, Qin continued the trek where the original marchers had left off, accompanied by a camera crew and a tattoo artist, who continually updated the map on Qin's back. I reviewed it in full here. You Are Here: Personal Geographies and Other Maps of the Imagination is a beautiful and meditative compendium of maps and musings on maps that explore, in the broadest possible terms, the human condition. Divided into three sections--"Personal Geography," "At Home in the World," and "Realms of Fantasy"--the book features 50 full-color and 50 black-and-white cartographic illustrations, ranging from a humorous diplomatic atlas of Europe and Asia to a canine view of the world to hand-drawn maps of shelters along the Appalachian Trail. A selection of diverse essays, from the academic to the personal to the humorous, contextualize the maps within the larger conceptual narrative exploring humanity's compulsion to map and chart its place in the universe. 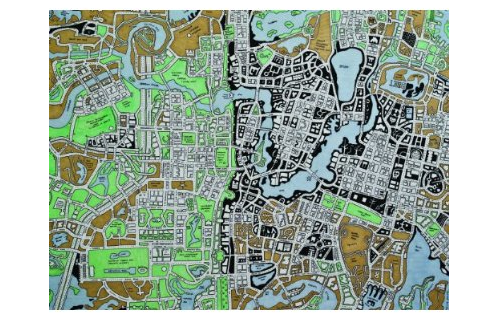 I'm a longtime fan of the Hand-Drawn Maps Association, an ongoing archive of user-submitted maps, diagrams, and other spatial illustrations. 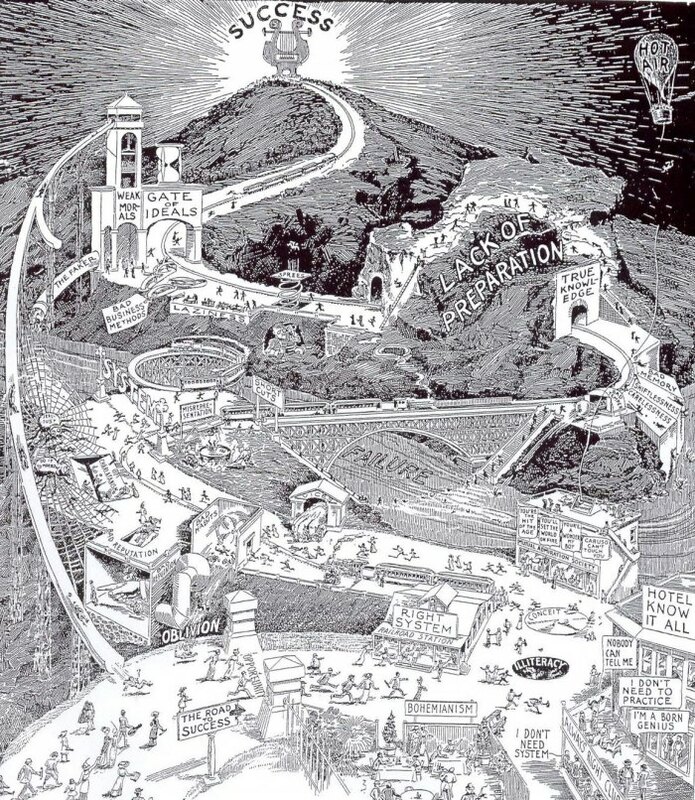 From Here to There: A Curious Collection from the Hand Drawn Map Association is exactly what it promises--a delightful anthology of ephemeral documents that give direction, from quirky doodles to remarkably detailed drawings on anything from Dallas skate parks to questionable tourist routes in Bulgaria's mountains. Eccentric yet unassuming, From Here to There offers a charming visual treat and, in the process, reveals fascinating slivers of human stories. An Atlas of Radical Cartography is as much about the art of cartography as it is about social activism, pairing artists, designers, architects, urban planners, and cultural institutions in an ambitious volume that explores mapping projects across social justice, globalization, energy, human rights, and more. It features 10 eye-opening maps on everything from marginal land settlement in Calcutta to the Los Angeles water cycle by 10 different artists, alongside 10 compelling essays on sociopolitical issues examined through the prism of cartography. 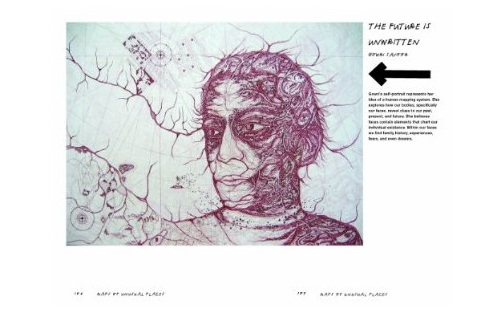 An Atlas of Radical Cartography comes from The Journal of Aesthetics & Protest, an inspired editorial collective hosting dialogs and initiating art projects that facilitate idea exchange and pro-social action. Based on the excellent blog of the same name, Strange Maps: An Atlas of Cartographic Curiosities features 138 of the most fascinating, absorbing, and remarkable maps from the blog's three-year history of culling the world's forgotten, little-known, and niche cartographic treasures. From the world as depicted in Orwell's 1984, to a color map of Thomas More's Utopia, to the 16th-century portrayal of California as an island where people live like the Amazons, the book is brim-full of priceless anecdotes from our collective conception of the world over the centuries. 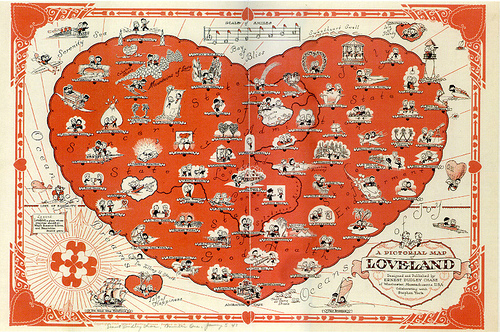 Strange Maps is one of my favorite blog-turned-book success stories. I reviewed it in full here. 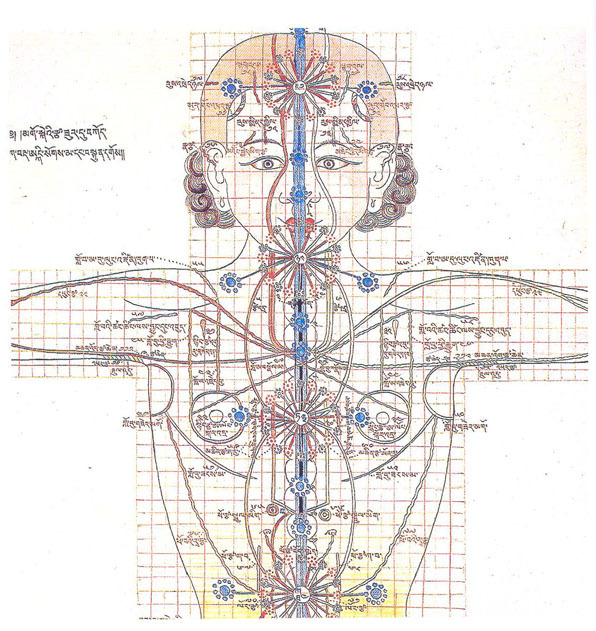 Since antiquity, humanity has had an ongoing fascination with the nature of time, struggling not only to understand it but to also visualize it and thus make it more digestible, more tangible, more graspable. 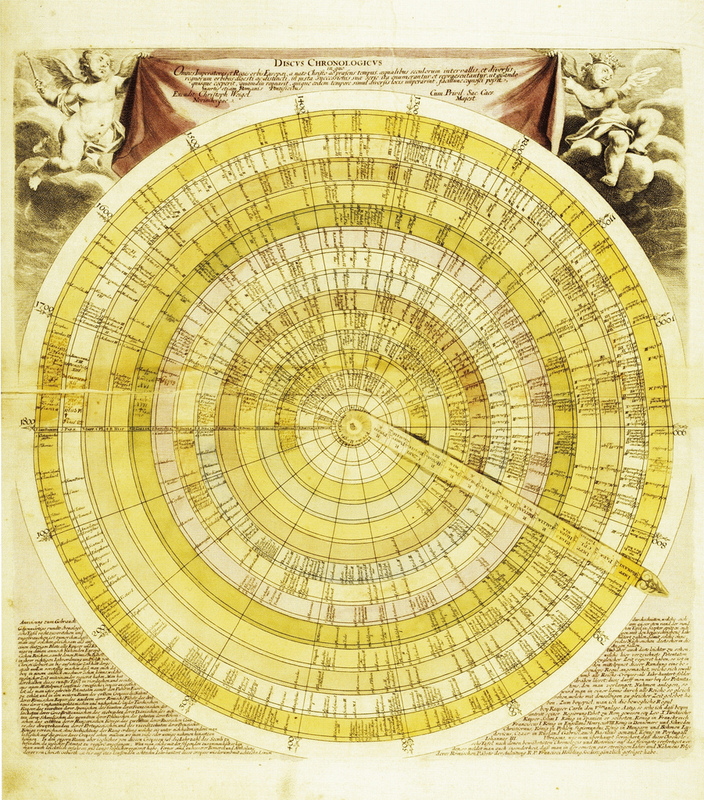 Cartographies of Time: A History of the Timeline traces the history of graphic representations of time in Europe and the United States from 1450 to the present in a gorgeous, lavishly illustrated collection of timelines, featuring everything from medieval manuscripts to websites to a chronological board game developed by Mark Twain. BibliOdyssey has a sneak peek. Cartographies of Time is easily one of the most beautiful books to come by in the past year, both a treasure trove of antique artwork and a priceless cultural time capsule containing humanity's understanding of time and place in the larger context of existence. On a most fundamental level, maps are visual storytelling about the world--about what exists in it, what matters in it, and where we belong relative to it. 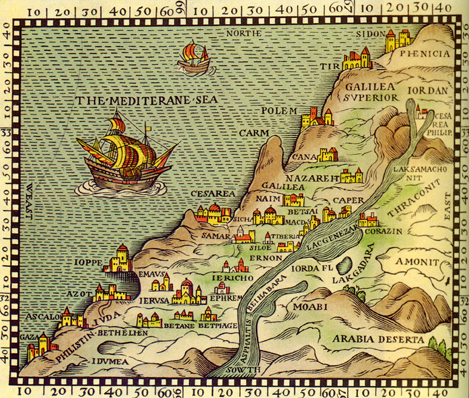 In Maps of the Imagination: The Writer as Cartographer, Peter Turchi explores how some of greatest storytellers in literary history employed maps as narrative devices, revealing some remarkable similarities between mapmaking, traditionally perceived as an analytical science, and the art of writing fiction. From Melville to Nabokov to Stevenson to the Marx Brothers, the book features hundreds of extraordinary illustrations from and about iconic works of literature. Maps of the Imagination is a genre-defying gem that straddles art book, writer's manual and cultural critique in an utterly captivating way that makes you look at both old maps and familiar fiction with new eyes.